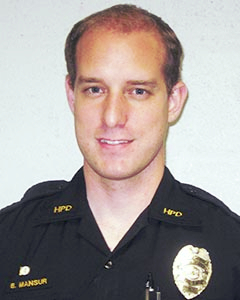 The Kona Crime Prevention Committee recognized Officer Brandon Mansur as “Officer of the Month” for August in a luncheon ceremony Wednesday (August 7) at Huggo’s restaurant in Kailua-Kona. 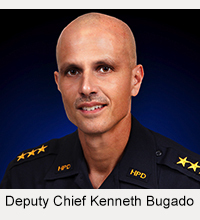 Mansur was honored for his investigation of a robbery in Kona in February. 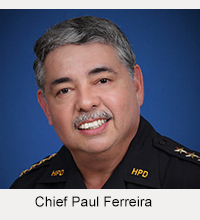 The 13-year-old female victim was physically assaulted by two young women and robbed of her backpack while waiting for a Hele-On bus at the intersection of Kealaka Street and Kealakehe Street on February 15. Through teamwork with another officer, Mansur’s investigation quickly led to the identities of two suspects, ages 18 and 19, and follow-up investigation linked them to the crime. As a result, detectives arrested the women and charged them with robbery, theft and assault.